For $249, the Ring Floodlight Cam may be Ring's most bad guy-unfriendly smart camera yet. The crooks will think you’re home even when you’re not—this is Ring’s essential promise, first introduced in the Ring Video Doorbell, and later followed up in the Ring Stick Up Cam. And now, at CES 2017, Ring unveils its most aggressive home security product yet. The Ring Floodlight Cam is a $249 floodlight/camera combo that lets you communicate directly with whomever has tripped the camera’s motion detection, and even blast the interloper with a 100dB siren. For Pete’s sake, Ring, now you’re really getting nasty. 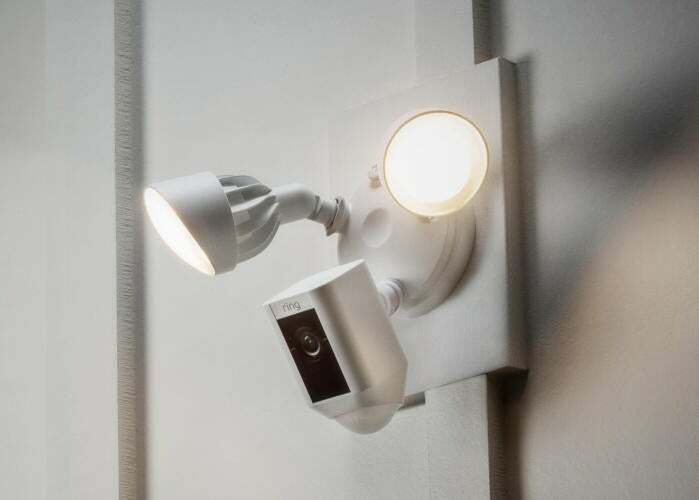 The Ring Floodlight Cam should easily connect to your home’s existing floodlight wiring, though you’ll need a strong Wi-Fi signal outside your house to enjoy all the camera’s features. The system detects motion in a 270-degree arc, and when it does so, the floodlight turns on and the camera sends a notification to your phone. From here, you can watch a 1080p live stream of the scene outside your house, converse with your “visitor” over a two-way speaker, and even trigger a 100dB siren if you really want to shoo away ne’er-do-wells. The beauty of Ring’s platform is that you do all this from your smartphone, giving intruders the impression you’re inside the house even if you’re 1,000 miles away. And thanks to cloud recording, you’ll have video evidence of whatever went down outside your house. The 1080p camera features night vision, letting you see a relatively clear picture even when it’s dark. 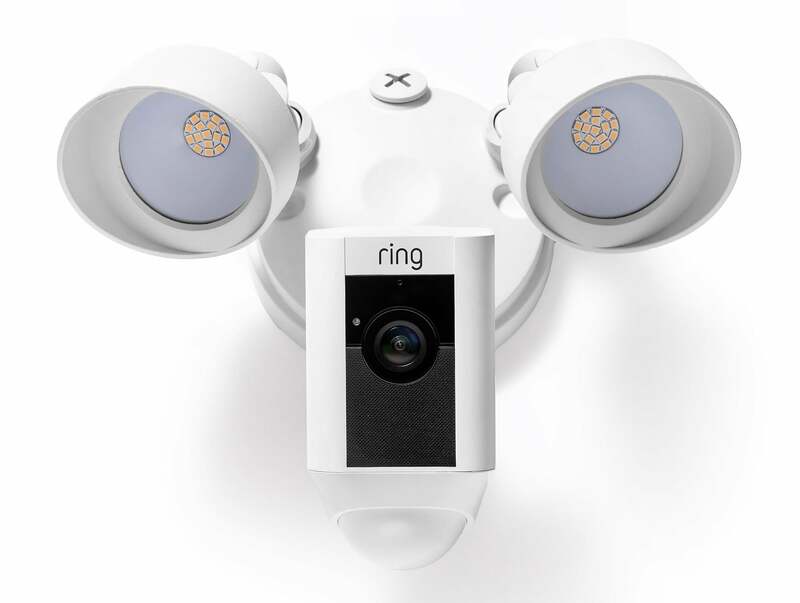 And unlike other Ring products, the Ring Floodlight Cam allows for video on-demand, so you don’t have to wait for a motion trigger to watch the video feed. You can simply open the app and take a peek. The floodlight can also be set to go on and off on a timer, and you can pulse the light manually to scare off passers-by. The Ring Floodlight Cam can be pre-ordered today for $249, and should begin shipping in April.